A current list of officers and positions can be found on our Officers page. We host games, monthly Game Days, and tabletop game conventions in the Kansas City metro area. 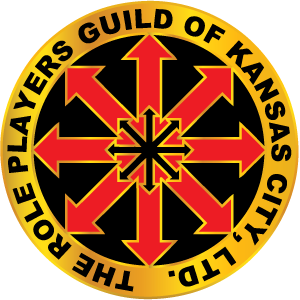 The Role-Players Guild of Kansas City (RPGKC) is a nonprofit organization dedicated to enhancing gaming in Kansas City and the surrounding areas since 1990. One of the largest game clubs in the midwest, we maintain relations with many game companies, industry luminaries, local game shops, and Midwest gaming groups. We play mainly roleplaying games and board games, along with some miniatures, card games and LARPs. Our members play at Guild-hosted events and often arrange their own game sessions. The majority of our members reside in the Kansas City metro area, with some located across the nation. New players welcome! For a complete description of the RPGKC, visit our About Us page.